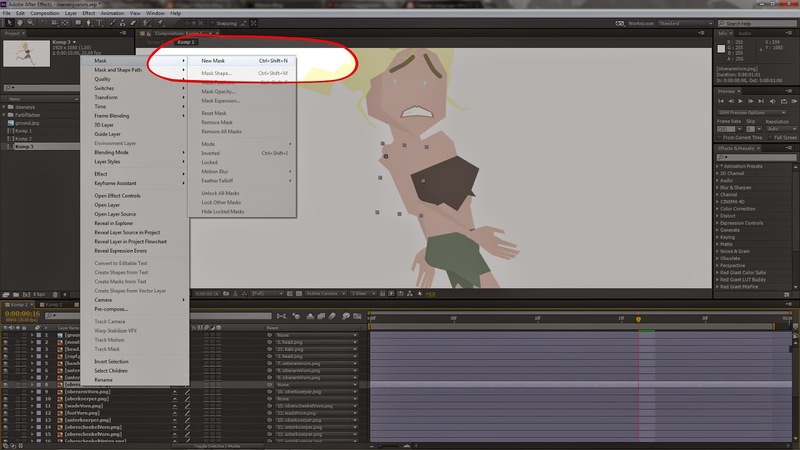 As a beginner it is not easy to animate a human character. There are some important things which make a human walk cycle human like a delay of the hand while swinging the arm. Look for an example in the web to get some help. Just search for "runcycle" with google images and take the one which you like most. As a result I get 13 steps. 1-7 is the first step with the first foot and 8-13 the second step with the second foot. There are not 14 steps because the 14th and the first are the same. How exactly do I animate with After Effects? I'm not doing anything special I just take my prepared Khaleesi and rotate every part of her body to look like the first pose in the image. Than I set a keyframe on every part of the body and position the parts of her body like the second pose and so on. 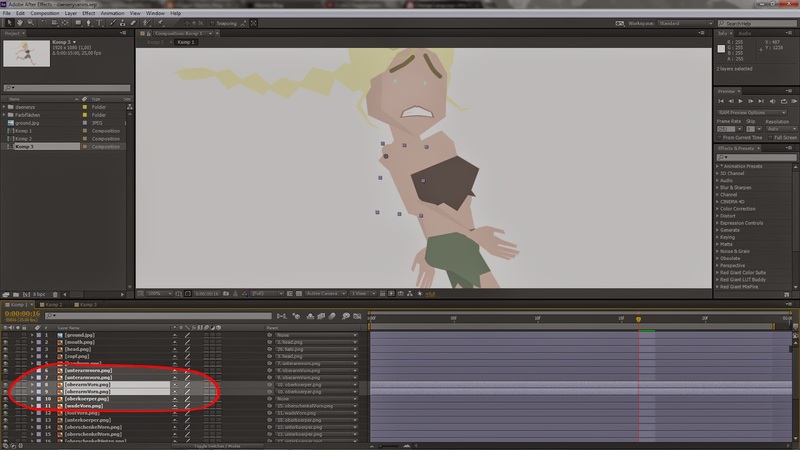 I know from experience that it is not bad to do a kind of loop while animating. My first loop is to position arms and legs. 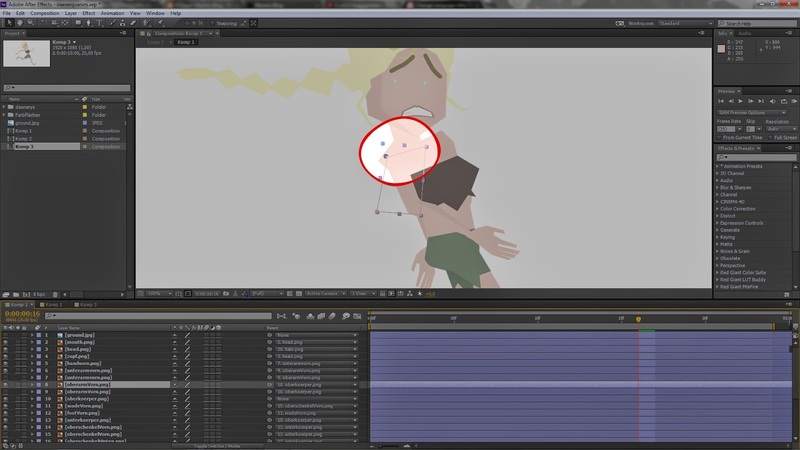 Second loop is to give the character the correct vertical position in every step. Last loop is to do some details like delays of hands or the swinging braid of Khaleesi. Here you can see my animation process with some hints. And here you can see my final run cycle of Khaleesi. If you have some ugly edges like the one in the following images you can simply retouch it. Just duplicate the object which troubles you. Use it as a mask and mask your object at the poses it doesn't look good. So much layers i hope my brain wont get fryed when i try this :D.
Thanks 4 showing your animationprocess. If there are any wishes or suggestions like tutorials or comics just let me know! Apart from this - feel free to ask if you have any troubles with this tutorial :-) AND if you do this tutorial I would love to see your result!